Designed for the new (2016) BPK kit. This decal is not yet available. ETA 1st half 2017. 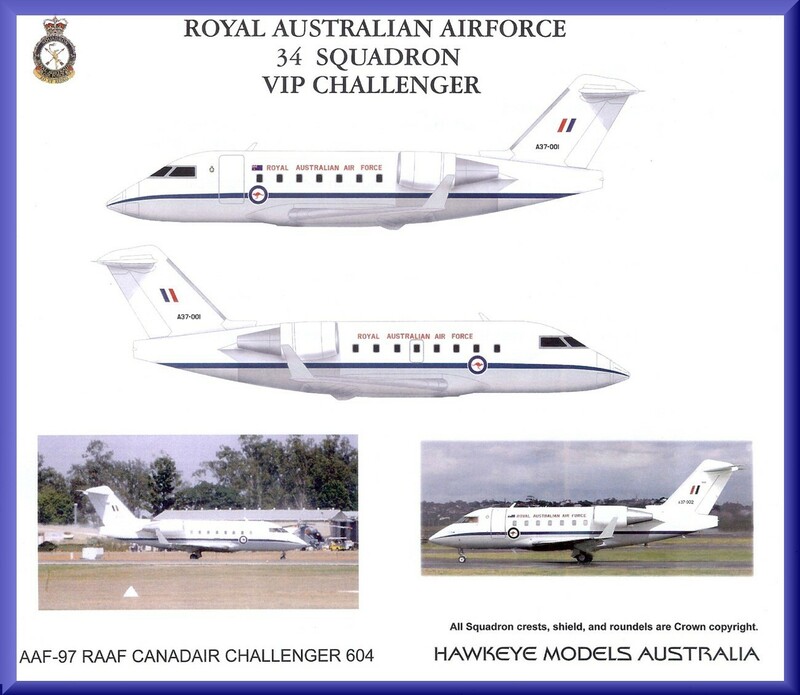 This sheet provides markings for RAAF Bombardier (ex Canadair) Challenger aircraft of No.34 VIP Squadron. Laser print decals on continuous carrier film provides national markings, serial numbers A37-001 and A37-002, cheat lines, passenger cabin windows and doors and squadron crests sufficient to complete one model. This item is a DECAL Sheet. A model kit is NOT included. Profile artwork from instructions is pictured. If you require decals for the Broplan, Execuform, Leading Edge or Luedemann kit, the initial release of this decal (part nr AAF-097A) may be better suited.